Mainly ground floor. Five bedrooms: 3 x double with en-suite shower, basin and WC, 1 x twin with basin, 1 x first floor twin. Bathroom with bath, shower over, basin and WC. First floor basin and WC. Kitchen with dining area (seats 2). Utility. Sitting room (seats 5) with open fire and dining area (seats 6). Teelin View is an elevated detached cottage with some views over Teelin Bay and comfortable welcoming accommodation throughout. The property is set mainly over the ground floor, with just a twin room and basin with WC upstairs. 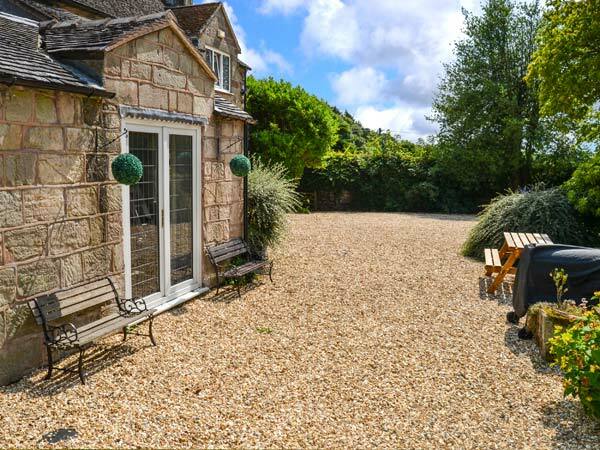 The rest of the accommodation comprises three double rooms with en-suite shower rooms, a twin with basin, a bathroom, kitchen with breakfast table, and a sitting room with dining area and open fire. Outside is ample off road parking, and a front patio. Teelin View is a great base from which to explore the Slieve League sea cliffs, or just enjoy the walking, fishing and traditional villages of the area. Oil central heating with open fire. Electric oven and hob, microwave, fridge, washing machine, tumble dryer, dishwasher, TV with Free-to-air channels, DVD, selection of books. Oil and electricity charged by meter reading (first €20 of electricity and starter pack for fire inc. in rent). Bed linen and towels inc. in rent. Ample off road parking. Front patio. Sorry, no pets and no smoking. Shop and pub 1 mile. Note: No hen/stag or similar.